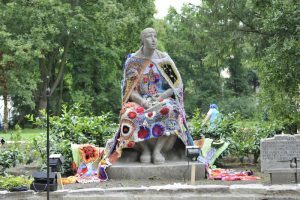 This monument honoring the Trümmerfrauen, by the sculptor Katharina Szelinski-Singer, was installed in Hasenheide Park in April 1955. 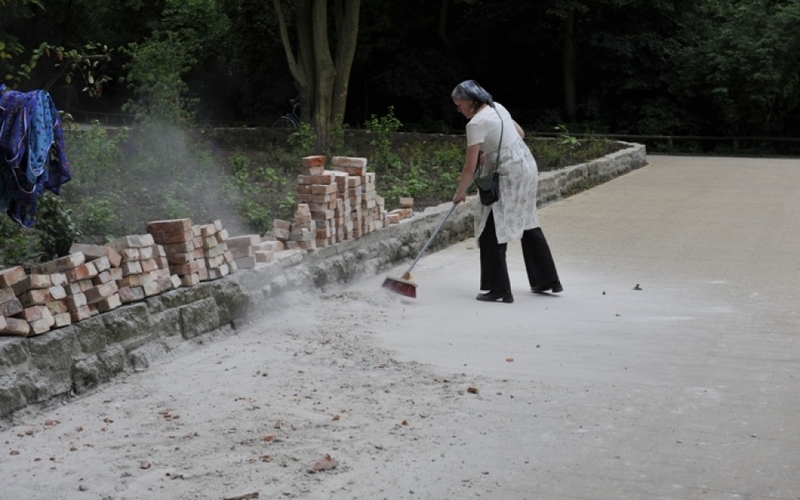 This is one of the few monuments to the women who removed the rubble of World War II ever installed in former West Germany. 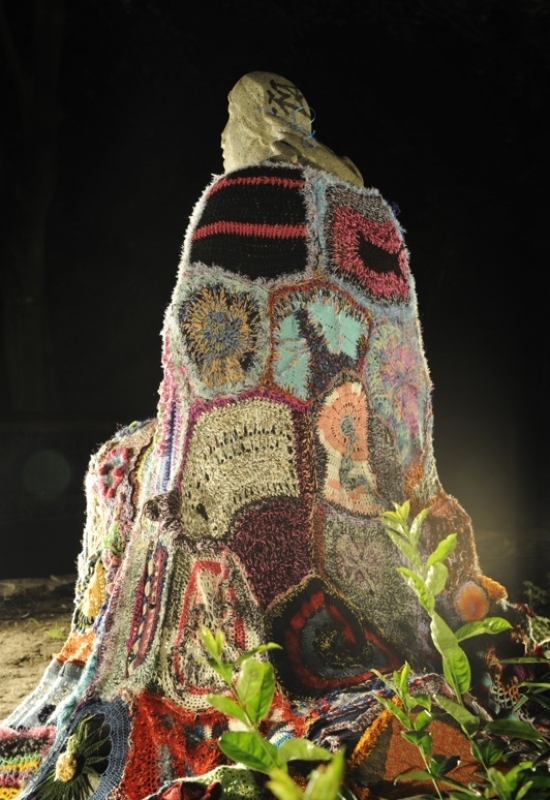 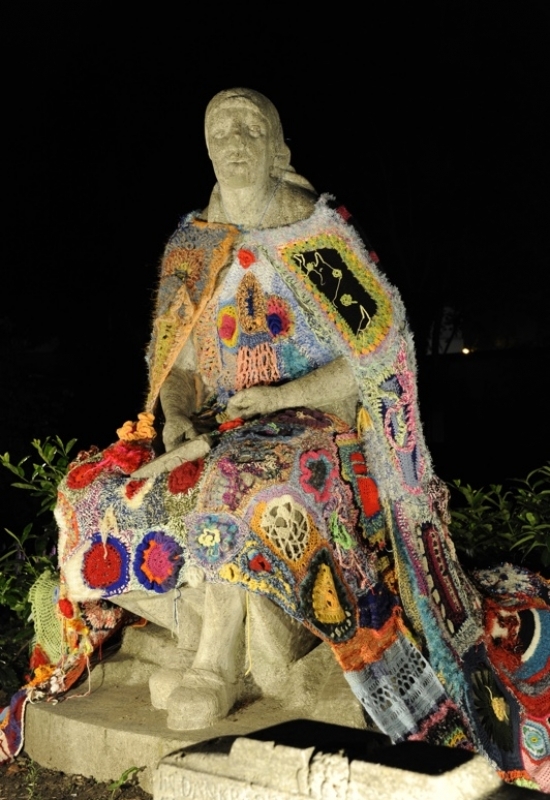 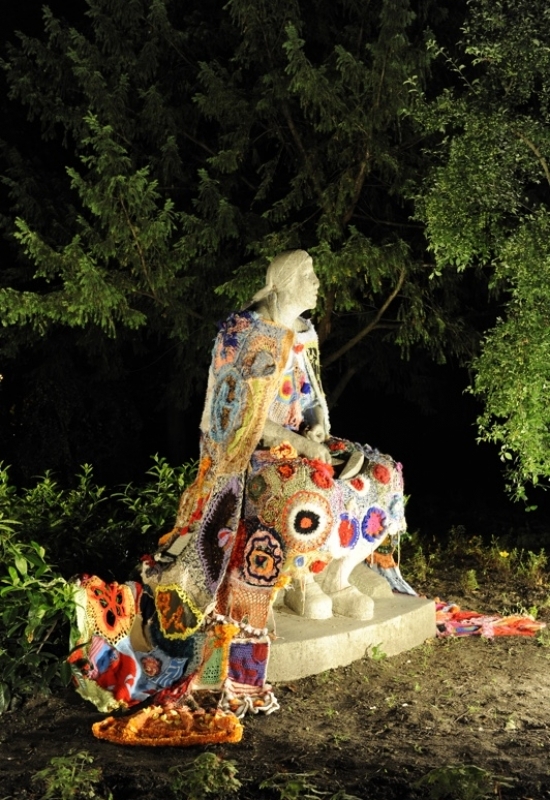 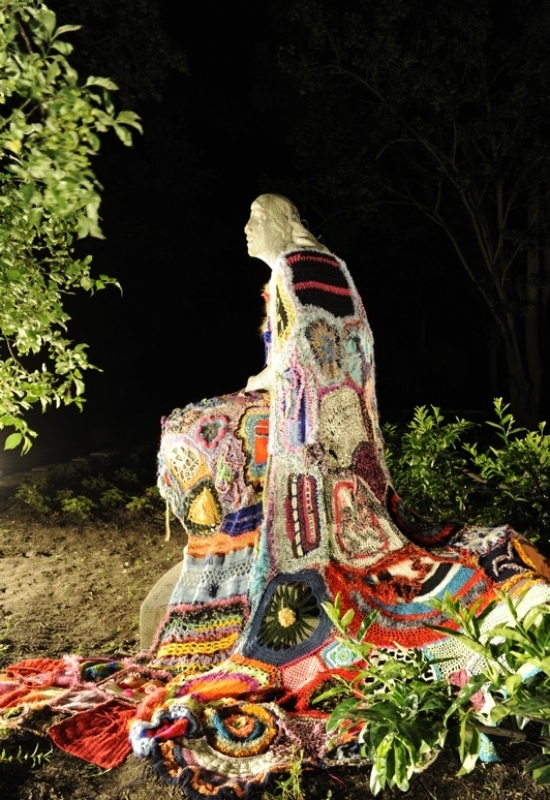 The dress was produced in public spaces over a period of 6 months: 100s of hands contributed pieces crocheted and knitted from donated remnants of yarn. 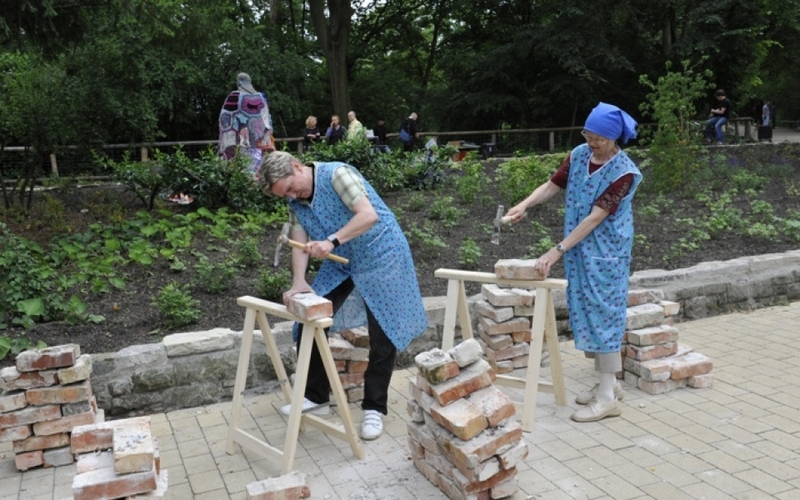 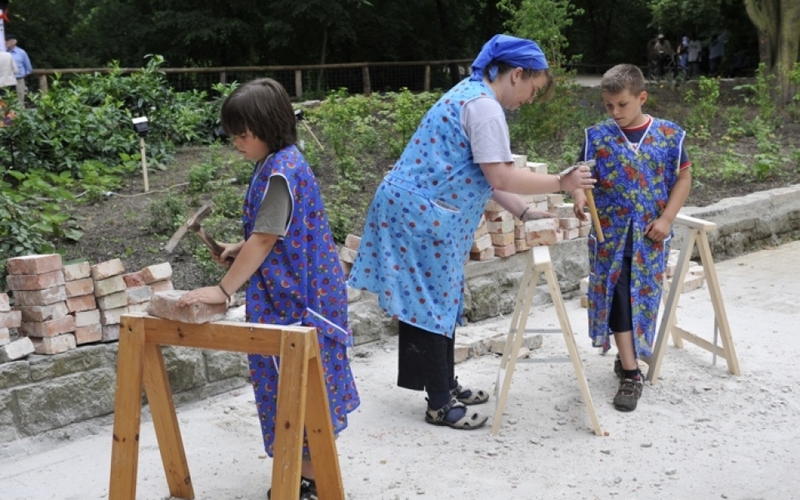 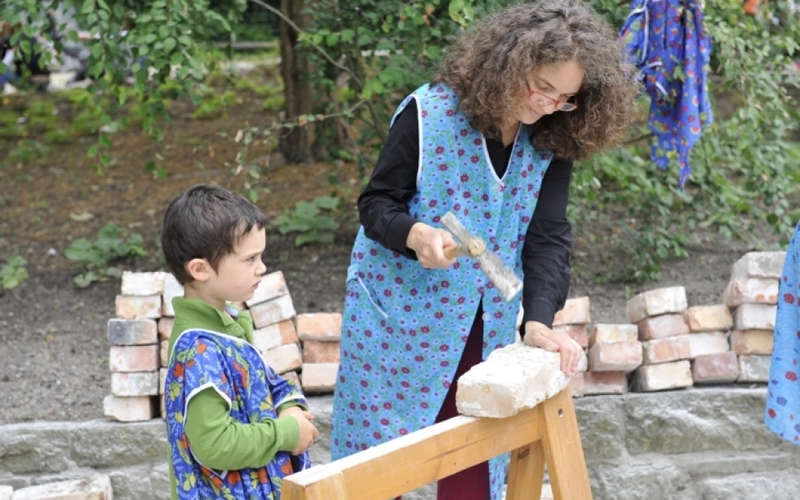 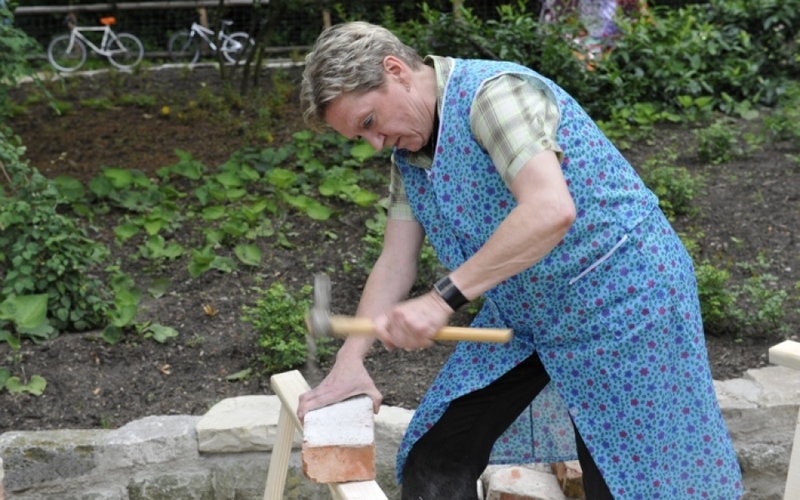 The Trümmerfrauen spent their days removing the rubble of bombed buildings and preparing the bricks for rebuilding by hammering off leftover mortar (Steineklopfen). 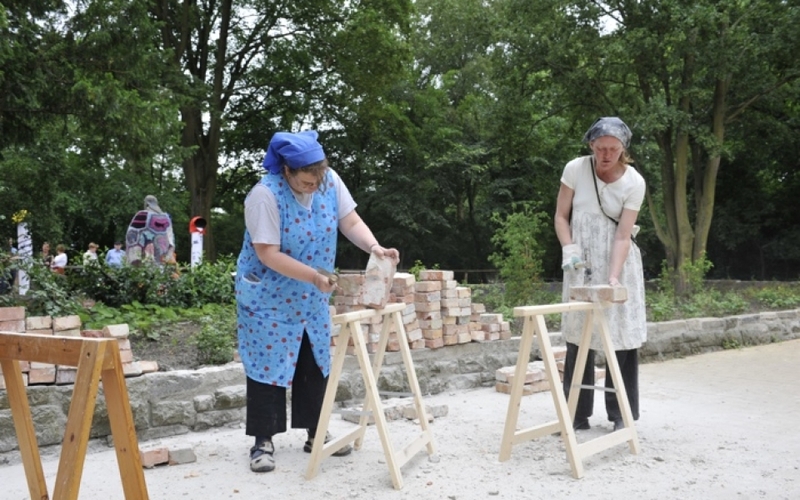 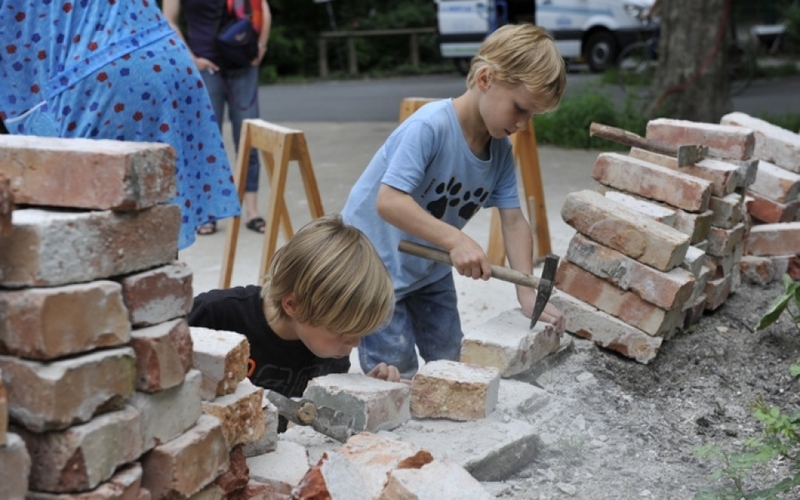 During the two days of the installation, visitors had the opportunity to try out Steineklopfen themselves and get a sense of what the city might have sounded like during the many years of rubble removal.